Funcom has been keeping their upcoming MMO The Secret World under wraps, but some details have been coming through. 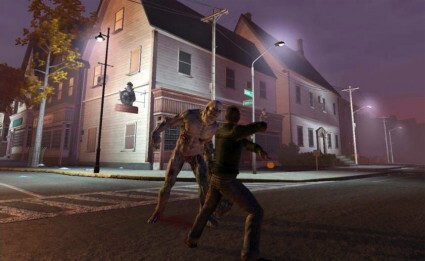 Rock, Paper, Shotgun has found two new images from the game, depicting a fairly deformed zombie or mutant caught in the act of jaywalking. Their source is a Norwegian site, Dagbladet.no, which shows the images as well as a piece of apparently aquatic concept art. Funcom's Ragnar Tørnquist, who is working on The Secret World, acknowledges that the images weren't so much 'leaked' as 'sneakily released' as part of Funcom's quarterly report. He also says that the images are pre-alpha screenshots, and points out that they're already being discussed on The Secret World forums. We don't know about you, but Massively is excited about the horror genre being more fully explored in MMOs. We'll definitely be keeping an eye on The Secret World as the game's development progresses.